If you’ve landed on my website because you are trying to get predators off your back, this is the page to be on. All of these techniques will help you. But you MUST learn to ground yourself and keep your space clear, or all these techniques will not work as well. Visit my Etheric Exercises page and learn how to take control of your space. Boosting is just another word for sending energy. It’s got a positive connotation and it’s a fun word, not to be confused with boosting cars! You can boost anyone or anything…people, plants, animals, the earth, the moon, etc. Humans are designed to send out love energy – I believe that is our birthright and our primary purpose on this planet. Boosting should be fun and make you smile and laugh. If it becomes an effort, you are probably boosting from anger or fear instead of Love. NOTHING can withstand pure Love energy, and I’m talking about the darkest of the darksiders. That’s why through all that is going on in this crazy world, I am confident that light and peace will prevail. We have infinite creative abilities within us. The darksiders cannot create, they can only destroy. We are powerful creator beings, if we can only realize this and use our power effectively. That’s why it is so important for each of us to learn how to send love from our heart centers. It’s REALLY important to note here that I am not talking about sending out emotional love, but a pure, neutral love energy. More about that in a bit…. Clear your personal space (grounding) – Radiate Love from your heart center and fill your body and the space immediately around your body with your own Love energy. For more on grounding, see the Grounding/Clearing exercise on the Etheric Exercises page. Focus on your heart/soul center – Get familiar with the heart/soul area (see Grounding/Clearing exercise) This is where you will expand your energy from. Focus on someone you love – Get a feeling of love going in your heart by focusing on a loved one, whether it’s a family member, child, friend or pet. Send the energy – Once you feel that feeling of love in your heart area, expand it out to your intended target. Be neutral – Send unconditional love energy. This means you are not vengeful, angry, intending hurt, intending pain, or expecting a particular outcome. Righteous anger is acceptable because it’s of a higher spiritual order. You are allowed to defend yourself. Sending love – This does not have to be emotional love, although it can be if your target is someone you love. Basically you want to send the frequency of love. This is more neutral and is more useful if you are targeting a negative target. Who would want to give an Illuminati murderer a hug? What you’re going for is the high vibration of love, and that is an energy that the “bad guys” just cannot understand or fight against. Posture – I have found that my boosting goes much better if my arms and legs are not crossed. Sometime it feels natural to sit with my legs crossed when I’m sitting in front of the computer, but I think it’s like crossing two electrical wires…it seems to confuse the signal. I also tend to hold my hands together when boosting, linking the fingers, and even that seems to slow down my boosting. What works better is to lay my hands together, palm to palm, with the fingers touching. Try it out and see if it makes a difference for you. One thing I have found after many years of boosting is that there is really no limit to how you can boost, you just have to use your imagination. Below I’ve listed some techniques that I and other chatblasters have used in the chats I’ve been a part of. Where I can I have listed the inventor. 1. The Double Helix (a.k.a. “putting them in the blender”) – this method was invented in one the the EW chats years ago, and I don’t remember who invented it (sorry to the innovator). What you do is imagine the energy coming out of your heart as a ribbon or streamer. Imagine that this ribbon is going out in a clockwise spiral as it moves out from your heart. Then imagine a second ribbon of energy moving out from your heart in a counterclockwise spiral. See the two ribbons spiraling around each other to form a double helix. Then, imagine your target in the middle of this double helix. If you are boosting a friend or loved one, or any love-based target, this will feel exceptionally good to them. If it’s a darkside target, it seems to strip away their darkside aura and many of them scream. It usually reduces a darksider to a wimpering puddle. Another very effective way to use the double helix is for one person to do the clockwise spiral and another to do the counterclockwise spiral. The energy created by this teamwork is incredibly strong and can help overcome a tough target. Many times I will imagine words stitched onto the ribbon, such as Love or Jesus. That is something you will have to test out for yourself to find which words work for you. 2. The Dodec Technique – I have written much more detail below about the dodec technique, but I wanted to also mention it here. After building a dodec, you can actually boost through it very effectively. When I boost through the dodec I imagine the energy going out from my heart through each of the 20 crystals on the dodec and out to the target. This can be especially effective if you are not quite sure where the etheric attack is coming from. I have used it for general protection to clear my immediate space. 3. Boosting with cetaceans – This is probably the easiest advanced technique because all you really have to do is ask for the cetaceans to help and they will be there. Even if you can’t perceive their presence, ask anyway and they will come. I believe we first starting contacting the cetaceans at Carol’s urging, and a few people have developed whale buddies as a result. Georg in Africa has a giant black whale that he calls on for help, and Stevo is always closely in touch with blue whales, who frequently come to our aid. The dolphins like to do a lot of healing and protection work, the orcas like to go after targets (especially Vril), and the whales tend to help with large-scale boosting of difficult targets, such as large ships and nasty Jesuits. Some people who have not been able to perceive the cetaceans developed the ability after asking for help from them, so have faith. 4. 6th Chakra Boosting – This is a technique that was shown to Carol by the dolphins and she subsequently shared it with the EW chatters. Basically, it’s a way to gather information. You send energy out from your 6th chakra instead of your 4th, and it improves your psychic vision. I use this method in group chats when we are looking for info on what the NWO is up to. Of course you should always switch back to sending energy from the heart when you are boosting a target. 5. Using orgonite while boosting – Many people have asked me about using a Succor Punch (SP) or Powerwand (PW) while boosting. It’s a great idea and can be a good learning tool. When I first started boosting, I used to hold a PW up to my heart chakra, with the crystal pointing away from me, to enhance the energy I was sending. Eventually, I got to the point where I didn’t need the PW anymore, but I still grab it when a plane flies over with a psychic in it, just to give my boosting a little oomph. I have also used the SP in the same manner, holding it up to my heart with the tip of the crystal pointing away from me. I have gentled storms this way, even hail storms, and blasted targets. I also use the SP for protection when I am gifting. I simply ask it to hide me from all surveillance. Once Stevo and I drove right past someone who was following us and he didn’t see us. So even though I feel very comfortable boosting with no tools, it doesn’t hurt to gain confidence using the tools and to use them when your energy is not quite up to par. 6. Boosting with nature – Many times we have used animals, insects and elementals (nature spirits) to help with our boosting. Bees are a great ally in the war on reptiles because they just love to go after dracs. I’ve taken my dogs along on an etheric boost, my cats have helped me heal people, and other boosters have used other species, including birds, horses, dragonflies, butterflies, llamas, etc. Some people have a close connection with elementals, such as garden devas, and have used their help. Of course, the cetaceans have been our most frequent partner in boosting. I have also communicated with trees, especially really old trees, and they love to be of service. 7. Boosting with sound – DB and Ryan McGinty were the first people I ever heard mention using sound to boost a target. They both recommended ultra-high C as a sound to use when boosting. You can download a tone generator on the internet and generate high C on your computer. High C is 2094 hertz on the computer. Sometimes I play this tone on my computer when I’m boosting to break through hacker interference and also to send the sound etherically to whatever target I’m boosting. The reptiles absolutely hate this sound. If you want to see a reptile squirm, sing the word Yahweh at high C! DB also mentioned that the G note is good for boosting. Try playing these notes on a musical instrument while you chat. Stevo has a dijeridoo that plays the C note and he’s used it very effectively in boosting sessions. 8. Mavericks Boosting – In the summer of 2014 I was heavily attacked, personally, and after two days was finally able to get out from under the worst of the attacks. I asked Carol for some advice on getting the attackers to back off more. She told me that when I boost my attackers, to make it a really strong boost, much more than I normally do. She said to imagine the energy going out as an ocean wave instead of a stream of energy. It takes more focus and energy but it doesn’t take as long to neutralize your attackers. I tried it later that day as they were still attacking my 3rd chakra every few hours. I’m quite used to boosting these attackers in a group, where the group dynamic provides the big energy needed to affect the high-level darksiders. Doing it on my own, I needed to step up to the next level. I immediately began to visualize the giant waves filmed in the movie “Chasing Mavericks”. Stevo and I have really enjoyed this movie on many levels, one being that we used to live near the area where it takes place and where it was filmed, so a lot of the scenery is familiar to us. We also both like big water and we like to watch surfing. The movie also has a really good spiritual message and is well-acted. If you havenÕt seen it, I recommend it highly. Anyway, there’s a scene in the movie where they show a giant wave from the back, as if the wave has passed and you are watching it break from out in the ocean. The size and energy of the waves at Mavericks beach in Northern California is due to the underwater geography, and the waves are massive. That scene is the inspiration I needed to feel the huge wave of energy I had to throw at my attackers. I also use a really big Golden Lemurian wand held up to my 4-1/2 chakra, which is the unconditional love chakra located halfway between the heart chakra and the throat chakra. When I boost with the GL and this wave imagery, I see a huge golden wave of energy washing over my attackers. If you’ve ever been caught in a breaking wave, even a small one, you will know what it feels like to be uncontrollably tumbled around by the force of the water. That is what I visualize happening to my attackers. They are inundated with this golden energy wave, they are tumbling around, losing control and they are suffused with Love energy. Most of the time, I see them give up, floating and twitching in the Love energy. Even when I’m fending off a whole chain of attackers, their bosses, their bosses’ bosses, etc., it only takes about 5 minutes to get rid of them all. As you can see, there are many ways to boost, only limited by your imagination. People tend to use what they are familiar with or what is dear to them. A good way to do advanced boosting is to listen to your higher self. You will get intuitions about what to do and how to go about it. When Stevo and I have been under severe attack is when we have gotten our best ideas. In fact, I received the dodec technique from the dolphins when the dracs were trying to kill Stevo with an etheric attack. The point is, let your intuition and imagination flow freely and you will get what you need. Another boosting method that we’ve been using in the chats is boosting from higher dimensions. You can read about how to access the higher dimensions in the Etheric Exercises section of the forum. Basically you send your energy out your crown chakra to the higher dimensions. Carol, Stevo and I discovered this method while boosting a particularly nasty entity that was bothering Carol while she and Don were driving over here to visit us. I’m sure other people have been accessing higher dimensions for ages, but it was all new to us. Anyway, we started out kind of tentatively going to the 5th dimension, then the 7th, then the 9th. It took me a while to get used to the 9th dimension because I kept falling asleep. That is my Higher Self’s way of keeping me from overloading on too much information at once…it puts me to sleep for a bit. After a while the 9th dimension got pretty comfortable so we started boosting from the 12th dimension, then eventually ended up in the 13th dimension. Carol got from the cetaceans that the 13th is as high as we are supposed to go right now, although we did peek into the 15th one day. All three of us now boost regularly from the 13th dimension. It sounds weird, I know, but all we’re really doing is accessing the multi-dimensional nature of our spirits. This is how were all supposed to be, so the weird thing is why isn’t everyone doing it? From 13D the perspective is so much clearer, especially when we are working on a global issue. You can see all the interconnections around the planet and it all looks like an elaborate game from up there. It’s a very neutral place and it’s easy to boost because it is less emotionally charged. It’s also much easier to see and defeat the machinations of the NWO from 13D. From there they all look like goofy puppets and you can cut their strings and watch them founder around. It’s a good position for self-defense and we find many solutions to their plots and attack strategies when we look from 13D. So try the exercise in the Etheric Exercises section and see if you feel comfortable accessing the higher dimensions. Another advantage to boosting from there is that the nasty entities can’t go above 6D so you don’t get harrassed up there. Plus, it where the whales hang out and their energy is amazing. This is a technique that Stevo developed in one of our group chats to deal with a particularly hard target. We’ve been boosting from the 13th dimension for several years now. That technique came about one night when Carol and Don came to visit us and were severely attacked on the way here. When they got here, we did a chat session in my living room to go after whomever had attacked them. In the process, we discovered that we could access the higher dimensions. I don’t know who exactly gave us this information, but I suspect it was a combination of Lemurians, Atlanteans and dolphins. All of them were present around us that night. While we were boosting the attackers and experimenting with higher dimension, Carol told me that I was going transparent, and she could see right through me. It was pretty amazing. After that, we all experimented with going higher and higher in the dimensions, and eventually reached the 13th dimension, which is where the cetaceans hang out. The cetaceans have let Carol and I know that 13D is as high as we are supposed to go, so if you go any higher be careful. Once you practice a bit, it’s very easy to access these dimensions, but you have to practice. I have an exercise on my site to help you do that. You need to ground, focus and most importantly, use your imagination freely. To begin the 13D HH boosting, you first have to raise your awareness to the 13th dimension. Once you have done that, you boost in the normal manner, through your heart chakra. The difference here is that you need to consciously call on whomever you consider your Creator, or your spiritual guide. Stevo, Carol and I use Jesus and Mary Magdalene because that is the energy that we understand and identify with. You can use any spiritual figure that brings that strong, unconditional love vibe into your space. Next, imagine that the boosting energy coming from your heart is rippling out, like the ripples of water that are caused when you drop a stone into a pool of water. Imagine those ripples spreading out from your heart through all dimensions and all space/time, crossing any barrier easily. Imagine you are a conduit for the energy from the Creator and the energy is flowing through you to all dimensions, all life, all parts of the universe. You have to really let the energy get big, and don’t limit your imagination. This energy goes everywhere, to every corner of our existence that has ever been or will ever be. The energy workers on this planet, especially gifters and boosters, have done so much damage to the NWO agenda that they are now resorting to using the time/space continuum to launch their attacks. We have evolved our techniques to counter these advanced attacks. The more people that learn how to do this, the more quickly we can bring the NWO down. I want to stress that anyone can do this. Any human with a heart can master this technique so don’t be afraid to try. It’s a function time, focus and Love. Have fun too! I wanted to write a bit about using love to boost. Many people have told me that they have trouble boosting the bad guys because they can’t summon love for them while boosting. I finally came up with a way to explain the love thing while answering a forum members’ question. What you’re sending when you boost is not emotional love. You don’t have to feel like giving a bad guy a hug. What you should do when boosting is generate the high frequency of love from your heart. You can do that by thinking of someone you do love. Let that love fill your heart, thereby raising the frequency of your energy. Once your energy frequency is raised, then send that energy. You don’t have to emotionally love or even like your target. This is a difficult distinction to make, especially for someone who is new to boosting. To restate: what you are trying to while boosting is raise your frequency to a higher level. The frequency of love is the highest frequency we can achieve, so do whatever it takes to feel that love in your heart. Once you feel it, send it out, no matter who your target may be. It’s simple but not necessarily easy. I’ve mentioned elsewhere the connection between boosting and gifting, but I wanted to also mention it in this section. Boosting and gifting are really inseparable. Boosting is an etheric activity and gifting is a physical activity, and doing one without the other is like filling your car with gas and then not turning the key to start the car. It’s similar to the relationship between words and deeds. It’s all very well to talk about doing something, but putting those words into action is the real magic. It’s the same thing with boosting and gifting. You can boost a satanic coven forever and they will still come after you, kidnap kids, torture and murder people. But gift their meeting place with orgonite and boost them, and you are putting a stake directly in their heart. Orgonite can actually prevent them from performing their sick rituals, and they don’t like to occupy a space that has been gifted. You can gift without boosting and still get results such as positive weather changes, but if you gift for any amount of time and if you gift big targets you will want to start learning how to boost to protect yourself from etheric attacks once you have gotten their attention. When you gift, you are taking territory away from the enemy, as Don Croft says, and many times the enemy will take it upon themselves to get revenge. For most people, this only strengthens their committment to gifting, but it helps if they can also defend themselves against these attacks. So at the very least, I hope you gifters out there have read my grounding and boosting exercises so you can get a head start on putting the hurt (etherically speaking) on the New World Order. 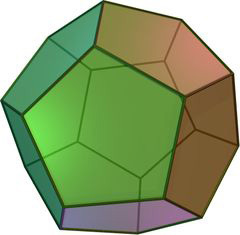 A regular dodecahedron is a shape also referred to as a Platonic Solid. It is formed by connecting 12 pentagons into a spherical shape. I believe the dodec is the signature shape of our planet; that it’s a structure that is embedded in our consciousness and our physical world. I don’t have any proof of this…it’s my intuition. Do some research on the dodec and you may agree. First, imagine you are swimming around and around your target in a spherical pattern, as if you are a dolphin. Send heart energy out through your 4th chakra to the 20 vertices, or grid points, on an dodecahedron pattern. The grid points are formed where the corners of the pentagram panels of the dodec meet. As you are sending energy to these grid points, the energy will start to bleed out to form the lines and faces of the dodec. I always see this energy as gold in color. At almost the same time, I see crystals rise up from each grid point. Notice what color the crystals appear to be. Once the crystals rise up, focus your energy on them while still sending energy to finish forming the faces of the dodec. It takes a bit of concentration and focus. If you are forming a dodec around a drac or a bomb, something you want to get rid of, imagine turning the crystals to the left, as if you are tuning the dial of a radio. When I do that, the target becomes more and more transparent and eventually disappears. I believe it goes into another dimension, but I don’t know where. If you are building a dodec for healing, protection, or around anything love-based, tune the crystals by turning them to the right. You may see the crystals change color – I always do. I keep turning them until I feel they are properly tuned. You will have to determine this for yourself. I tune them to purple for protection and green for healing. Many times a dodec around a darksider will come up with black crystals and as I tune them and the target disappears, the crystals turn clear in color. Each of you will have to experiment for yourselves to see what happens. After building about a dozen of these, I learned that they seem to stop black magic and voodoo. I’ve used it for healing, using the crystals that are located over a particular area of the body to heal that area. The other thing I’ve done is boost through the crystals after forming the dodec. The energy seems to be very powerful when done that way. After building dodecs for a couple of months, I was shown by the dolphins that using water to form the dodec could make it even more powerful. So, I began by filling the dodec with water, then creating the pentagonal faces from water. It seems to be charged water when the dodec is finished, and it has a very strong energy. One day, a water-filled dodec that I formed around a nasty target crystallized and shattered, destroying the target. One time Stevo and I were boosting with Carol and Don to help Stevo, who was under attack. Both Carol and Stevo had been attacked by a spider entity, and Carol found that using salt seemed to get them out of her space. So as we were dodecing a big spider entity with a water dodec, Don suggested using salt water. Et voila! Not only did the big spider leave Stevo’s etheric space, but lots of little spider entities scampered out of there as well. Just another facet of an amazing etheric tool! Another thing you can do with the salt water dodec is to spin the water in a clockwise vortex. It seems to flush the bad guys down the drain. Another variation of the dodec presented itself in our Sunday chats on EW. While dodecing a particularly nasty target that was trying to destroy the dodec, I decided to put a second dodec around the first one I created. The resulting double dodec was much stronger and they weren’t able to destroy it. In a subsequent chat, Stevo suggested spinning the two dodecs in opposite directions. When I did that around a big, nasty ship, it instantly disappeared. So now I’m playing with the double dodec on all my predator targets and it’s working very well. I’ve actually used it recently on someone for protection and it worked great for that as well. In fact, he had an unwelcome visitor in his space and as soon as I spun the dodecs the visitor went flying out of his space. I find that the inner dodec wants to spin to the right and the outer dodec wants to spin to the left. You may find your dodecs want to do something different, so feel free to experiment. Stevo subsequently expanded on the double dodec idea, using up to nine dodecs on a target, each subsequent dodec spinning in the opposite direction of the one inside of it. This seems to be particularly useful on really hard-to-kill targets. He calls them counter-rotating dodecs. I had an interesting experience in the chat where I got clued into a new kind of dodec. I call it the Faraday Dodec, because it’s similar to a Faraday Cage, which is a room that blocks all electronic signals. The Faraday Dodec does the same thing only with all the other advantages of using a dodec. The really interesting thing is that this happened while I was using my zapper, and the zapper seems to have been powering the Faraday Dodec. At first I thought the dodec originated from the zapper, but I asked Stevo to look at what was happening and he said the zapper was powering the dodec. After a while I could tell that he was right. The plain zapper that is hooked to my SP doesn’t seem to do it…it’s the orgonite zapper that works with the dodec. So this is an interesting thing for you energy-sensitives out there to try. See if you can feel the Faraday Dodec, which looks to me like a solid steel dodec when I use the orgonite zapper to power it. If I use the SP to power it, it looks like a steel skeleton dodec. So it must also be the mobius coil doing something, because the SP zapper and the SP crystal itself, have a mobius coil. The orgonite (or Terminator) zapper has a mobius coil and the orgonite plug. So to make a Faraday Dodec, just do the regular Dodec technique, but imagine the steel cage or steel skeleton I mentioned above. Turn on your Don Croft zapper and hold it in your hand while doing the dodec. You need to use a zapper that has orgonite in it. The vordec is just what it sounds like, the vortex and dodec combined. What I do is build the etheric dodec as usual, then I imagine a vortex spinning on the inside of each face of the dodec, with the tail of the vortex trailing into the center of the dodec. The vortex tails meet in the middle and form a ball of energy that looks to me just like a Tesla ball. This ball of energy is devastating to negative energies. Many times I’ve seen a bad guys’ head enclosed in this ball of energy, thus giving birth to the moniker “Tesla helmet”. I’ve also used it to neutralize ships as it kills their power source. If you use it on a positive entity or a loved one, it’s very healing and energizing. You can also connect the Tesla ball to the Creator Vortex energy and very quickly drain negative energy to the center of the earth. Two additional things we played with in the chats are using sunshine to fill up a dodec, which can be done in conjunction with the water dodec. The dracs seem to particularly hate this type of dodec. I always make sure my dodec looks transparent, then let the sun shine in. You know how beautiful sunshine looks when you are swimming underwater? It’s even better in a dodec! We’ve also worked with fire elementals, thanks to the guidance of one of the EW chatters. We fill a dodec with fire and watch it burn. I’ve only worked with this type of dodec a few times but it seems to do the job very well. I don’t feel there is any limit to what you can do with a dodec. Our group of EW group chatters discovered what we call the Creator Vortex way back in 2007, after I had a kind of epiphany about vortices (plural of vortex) during a chat session. I began sensing vortices in the earth and all over the place. Now it’s 2013, and while updating my website I realized that I never transferred the Creator Vortex information to this page when I switched from a forum-type website to a regular informational website. In the chat group, we started using vortices to do healings. Carol has been aware of earth vortices for a long time and began teaching the rest of us how to heal the ones that have been corrupted and get them functioning again to be a positive force. While chatting in 2007, we were healing a bunch of earth vortices around the globe and I began to sense that there was a really, really big vortex in the Mid-East after someone (I can’t remember who, sorry!) 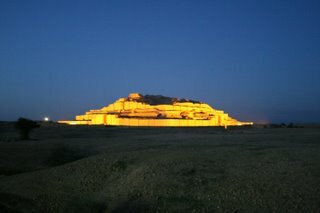 sent me this picture of the Chogha-Zambil ziggurat in Iran, located near Susa. As soon as I saw this picture I knew. Under this ziggurat, I sensed the largest, oldest and purest vortex on the earth. I got the sense that it was uncorrupted and incorruptible, meaning that no matter what they do, the NWO cannot use this vortex for negative purposes. I don’t know how I know this. This is the way my abilities work – I just know that this is the original vortex, the first one ever created on the earth. The other psychics in the chat confirmed it and felt the same energy I felt. Well, this was pretty exciting and we immediately began using this vortex to do healings. Anything that needs healing can go in this vortex and be changed for the good. We wrap this vortex energy around people, places, planets, etc. When things get really tough, we call on the Creator Vortex for help. So here’s something to think about…why has the Mid-East always been the hot bed of bad energy, war, death and chaos? I believe it’s because of the powerful presence of this vortex. Maybe I’m wrong, but it’s pretty clear from all the energy work our chat groups have done around the globe that using the Earth’s energy against us is their number one tactic for control. That’s why gifting is so powerful. Most of their structures are built on earth’s energy lines and vortices to take advantage of that ancient, powerful energy. I think it drives them crazy that they can’t use this vortex. Whenever you gift a ley line or a vortex, you are striking a blow for human freedom. Using the Creator Vortex to combat them is kind of like flipping them the bird! Okay, but how do I use the Creator Vortex? Read about my epiphany regarding how to sense a vortex to get an idea of how to be inside an earth vortex. Then all you have to do is imagine your target, whether “good” or “bad”, inside the Creator Vortex. That’s it – the vortex will do the rest. This will be very big energy, and at first it can be overwhelming, but mostly it feels good. It’s some of the best boosting you will ever do. You can look up Chogha-Zambil on the internet to see more pics and get a feel for the vortex. Have fun!